This is, hands down, the best amp sim I've ever used. I don't have a real Plexi to compare it to, but I do have a bunch of nice, expensive amps, and right now I am more inspired playing through this plug-in than any of the amps sitting next to my computer. As a songwriter the tones from this are extremely inspirational. I've used it with 3 guitars, with humbuckers, P90's, and Gretsch Filtertrons, and it sounds equally great with each of these instruments. Be sure to experiment with all the different inputs and jumper settings as this is the key to producing a variety of tones with the otherwise simple controls. Softube did a stellar job on this one! Best Marshall plug I've heard. That is not my kind of amp though, and be aware that it's pretty limited tone wise. But if you are looking for a straight up rock amp you can't go wrong with this one! It's so much fun to play. The interface is very simplified which I actually like. Keep in mind though that it doesn't like hot inputs so keep your input volume down, and watch the output level as well as it's prone to clipping the console output. But it's not enough of a hassle to take away any points. Really well done with this one! What a beauty this is. Sounds incredible really! Best simulator in the shop currently. Awesome tone, dynamics, flexibility with the different mics. Awesome! I've tried all the amp plugins and have been waiting for this one. 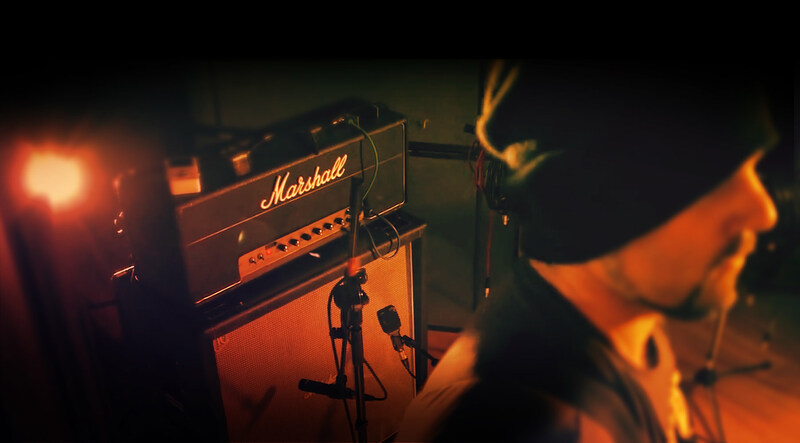 I love the Marshall tone and I think UAD and Softube did a great job with this. Now please send me a juicy coupon so i can buy it! I plugged my 1979 Rickenbacker 4001 bass into my Apollo, dialled in a colourful Neve strip and turned on the Marshall Plexi. Within a few minutes I had Lemmy's tone dialled in. Wow! This amp sim has guts. I love how the signal breaks up in a musical and crunchy way, just like old tubes do. Its a definite buy. I'm happy to see the Apollo platform is becoming a bit more varied and the of sound of the plugs are definitely improving. Sound is really nice. But what the matter is Mid knob? I can't see the position of middle. Please find the new knob out!!! This is my new goto Amp-plugin with the Twin and a 88RS or Neve 1073 unison in front. I really like the mixer and the input variations. When a good amp-sim comes along like this or the ENGL or Chandler I tries it out with the Roland dim. D and the RE-201 on aux's to see if it translate nicely and this is one of the best in my ears. It made me miss the bus...... Be sure to play around with it and get your tones and hisses, life is more that preset's. Me like.. Now I just have to play a little bit more..
Great job Softtube. Way better than the amproom.